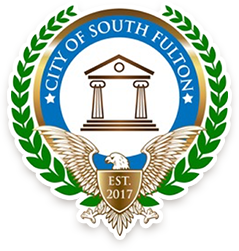 The City of South Fulton Fire Department is seeking their next Fire Chief. The Fire Chief is responsible for the day-to-day operations and administrative functions of the City of South Fulton’s Fire Department. The mission of the department is to protect life and property through public education, prevention, and the appropriate response to fire, medical emergencies, and other hazardous situations while serving the community in the most fiscally responsible way possible. The City seeks an experienced, dynamic, and innovative individual to serve as the next Chief. The Fire Chief is an at-will employee reporting to the City Manager and is a member of the City’s Executive Management Team. The Chief will be a visionary and experienced leader with a proven record of accomplishment. The Fire Chief will also be a strategically oriented, self-assured individual who can establish a reputation for fairness, honesty and compassion. The ideal candidate will possess a bachelor’s degree and at least ten (10) years of firefighting experience, including five (5) years of progressively responsible experience as a fire company officer in firefighting or, an equivalent combination of education, training, and experience. A valid Georgia driver’s license (maintained) will be required, as well as a State of Georgia Firefighting Certification, and Emergency Medical Technician certification. Please submit a cover letter outlining your qualifications and your resume to: COSF_Fire@polihire.com. To assist with internal sorting, please only include your name (Last, First) in the subject line. Please submit your resume in WORD format. Applications will be reviewed and evaluated throughout the recruitment process. Interviews are scheduled to take place in late February. Recruitment brochure will be available soon.